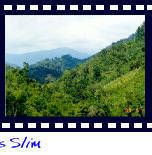 A half hour drive from Ipoh by car or motorcycle over dirt track. 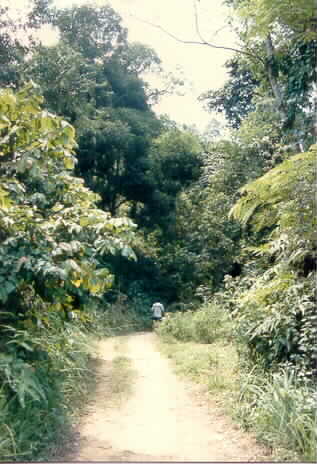 Along its old timber logging track by the side of the jungle stream is a good place for collecting butterflies and phasmids. Jungle streams are dangerous after a downpour. A sudden rush of water from the mountain might sweep one away and drown without any warning. Night time collecting of phasmids is good too. The protected butterfly, T. Brookiana abounds in this area. Mantids are possible also. It is a quiet place without traffic except for some motorcyclists who come for swimming. Successful collecting of insects is by expertise and luck as in all hunting trips. Spend some time here.UPDATE:Sept 2005: Most of the jungle in Ulu Piah have been cut down recently,leaving still a short strech of forest covering intact. How they always blame us collectors for detroying nature and not those cutting down the trees.What a waste. 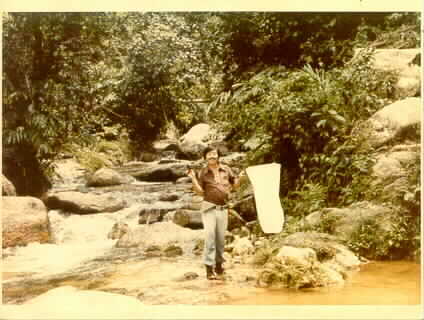 This is the site for the new road to Cameron Highlands. It was inaccessable before the new road was opened. Half an hour drive from Ipoh by car. Surrounded by hills on all sides, but few timber logging trails. As the new road advances its stage to Cameron Highlands later, it might become a very good collecting ground rivaling Tapah Hills. Collecting butterflies and phasmids is good here. In the tropics, use of baits is essential to capture fast flying butterflies nd beetles. Rotten prawns placed on side of stream attract many butterflies. Fruits like bananas and pineapples that are fermented will attract certain butterflies and beetles. Urine sprayed on sand patches along jungle stream works well. For mantids, beating bushes will force them to come out flying. The same goes for winged phasmids. It is listed as a type location for phasmids in book. It is an extremely good spot for winged species of phasmids. However, this area has been cleared and turned into an industrial zone. Only a small pocket of forest remains. In this small pocket, hundreds of winged phasmids gather. 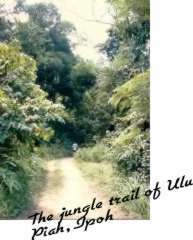 It has uncertain trails like a trap though and it is easy to get lost here. 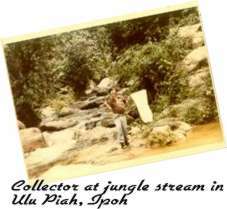 It is an hour drive from Ipoh. 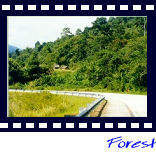 A Forest Recreation Park, just 15 minutes from Ipoh. Good for butterflies and some stick. Popular spot for swimming. Crowded on weekends. Aboriginal settlement but no catchers. An hour journey only by 4WD leads to a very good jungle area for beetles and butterflies and stick. Aboriginal catchers sell their catches to middlemen dealers in Tapah.Worth a visit if you have a 4WD. Buprestidae beetles can be found here. The methods usually used is either to climb on certain fruit trees to catch the beetles hovering by its flowers or by cutting down trees. The freshly cut trees attract the beetles to lay eggs. 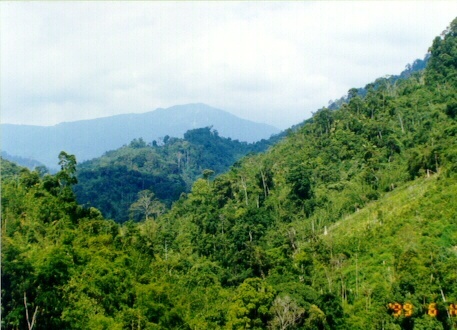 Maxwell Hills(Bukit Larut) in Taiping, an hour drive from Ipoh. 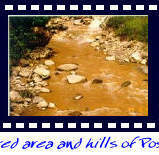 Its foothill has a Forest Recreation park. Its hill station is good for light traps for beetles. 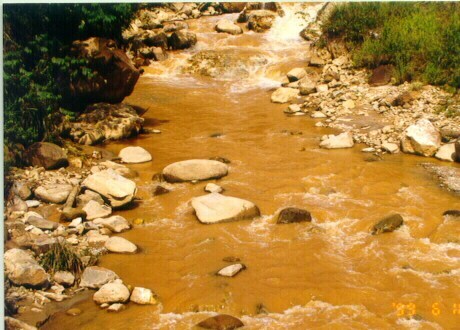 These sites are in the state of Perak. "SHORTEST LIVED: MALES OF THE LEAF-INSECT PHYLLIUM BIOCULATUM LIVE ONLY ABOUT THREE WEEKS IN SOME CULTURE. IN GENERAL, MALES OF MOST PHASMIDS DIE BEFORE FEMALES"